Brabus SV12 S Biturbo – the world’s fastest and strongest coupe! A few numbers in the beginning: 730 hp, 1320 Nm and 340 kmph. And this everything is in a coupe chassis. Brabus SV12 S Biturbo coupe is based on the Mercedes CL600. The most important heart of this exclusive car is an engine Brabus SV12S Biturbo built from a turbocharged 12-cylinder engine Mercedes 600 and it’s the most powerful 12-cylinder to be allowed on the streets. A special crankshaft with bigger cylinders and better forged pistons increase the engine’s volume from 5.5 to 6.3 litres. Other modifications of the engine include heads and camshaft. Of course, some heavy modifications were made on the engine’s peripheries. This involves a special exhaust system, two bigger turbochargers, high-performance intercooler and exhaust with metal catalyzer and low back pressure. Brabus modified the ECU to drill the most possible output and to meet EURO IV emission requirements (limits for exhaust emissions, maximal values can be 1.00 grams of Carbon Monoxide, 0.10 grams of Hydrocarbon, 0.00 grams of HC+NOx, 0.08 grams of Nitrogen Oxide and 0.00 grams of Particulate Matters per 1 kilometer ). This everything brings beautiful 730 hp (537 kW) at 5100 rpm and 1320 Nm of torque available even at 2100 rpm! But „only“ 1100Nm are available because of installed limiter. This power of the engine is transferred through the modified 5-speed transmission to the rear axle. A limited slip differential is available too. Every mechanical is protected with ARAL lubricants. Brabus SV12 S Biturbo coupe isn’t only the most powerful, but also the fastest. 100 km/h acceleration takes only 4 seconds and 200 km/h is done in 11.9 seconds. Its top speed is electronically limited to 340 km/h! Aerodynamics is an essential part of the car’s success. So then all aerodynamic parts were tested in a wind-tunnel. A sophisticated shape of front bumper provides necessary pressure to the front part and bunch of cool air to the cooler. Front fog lamps integrated to the bumper secure great illumination of the road. Also the rear bumper was improved. In the bumper we can see cut-outs for double exhaust tips and three LED lights at the back, 5 lights under the side sills to show what’s under the car as seen on TV - Fast and Furious style. The rear bumper was also tested in the tunnel to provide great under-pressure and high-speed stability on the roads. This power increasing needs also better suspension parts, brakes and quality tires. 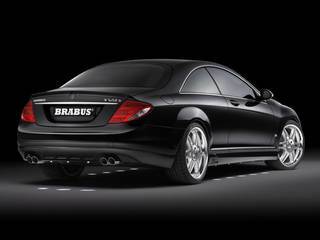 Brabus offers Brabus Monoblock light-alloy rims (18,19,20 and 21“). Under the fenders you can install the biggest available rims – 9Jx21 in front and 10,5x21 at the back. The biggest available tires are 265/30 ZR21 and 295/30 ZR21 at the back. Brabus recommends Yokohama or Pirelli models. New suspension parts decrease the car’s height for about 25 mm. 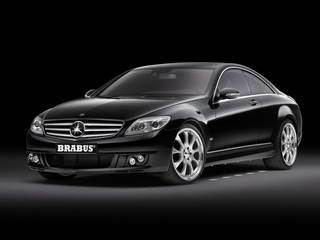 Brabus installed its own high-performance brake system. 380x36 mm brake disc with 12 piston brake calipers are on the front axle and 355x28 mm discs with 6 pistons calipers are at the back. Some changes were made also in the interior, that has now very nice Brabus Mastik leather upholstery and Alcantara parts. So if your full wallet is too heavy and you like this Brabus SV12 S Biturbo monster, prepare at least 178.890 euros. Wallpaper "Brabus SV12 S Biturbo"
How you like the monster from Brabus?